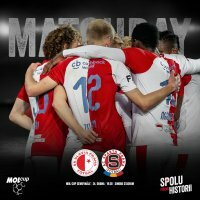 Slavia launched their spring campaign successfully home against FK Teplice. Late goals by Tomáš Souèek and Mick van Buren secured 2-0 win despite the guests’ tough defence. Panenka-style penalty by Tomáš Souèek broke the deadlock. Beautiful dribbling by Mick van Buren doubled the lead for red-whites. First league minutes in Slavia for Alex Král against his former team. UEFA Europa League Round of 32 starts on Thursday home against Genk. Michael Ngadeu did not miss the opening game of Czech league after his failed transfer to Fulham on deadline day. One of winter reinforcements – Petr Ševèík – started from first minute in midfield with Miroslav Stoch ready on bench. Slavia started better and set the pace of the game in opening 30 minutes. After 15 minutes captain Škoda tried to lob Teplice goalkeeper, but Grigar managed to block his effort over the crossbar. Just few minutes later Škoda tried his luck with stunning bicycle kick from inside the penalty area only to hit woodwork. Teplice defended well and Slavia couldn’t find their way to other chances. Just a minute before the opening half ended, Jaromír Zmrhal proceeded with ball to penalty area and fired the ball along Grigar with his left foot, but his firm strike hit woodwork again. Miroslav Stoch replaced Peter Olayinka during the second half, Mick van Buren replaced Petr Ševèík to boost Slavia offence, but Škoda’s effort following through pass by Stoch was blocked after 60 minutes. 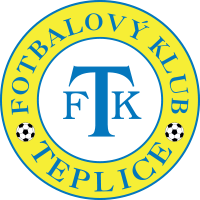 On 67th minute Teplice got into their biggest chance when Hora’s cross shot hit the post being deflected by Slavia goalkeeper Koláø. The red-whites broke the deadlock after 82 minutes. Teplice centre-back Jeøábek pulled Škoda down inside of the penalty area and referee Pechanec pointed on the spot. Jeøábek was awarded second yellow and Tomáš Souèek gave Slavia lead with his Panenka-style penalty. Just 2 minutes later Mick van Buren dribbled through Teplice defence and lobbed Grigar to double Slavia lead. Van Buren scored his first goal since March 2018 recovering from broken leg for almost a year. Slavia thus defeated Teplice 2-0 and are 6 points clear on top of the league after Viktoria drew 1-1 in Mladá Boleslav. The red-whites play Viktoria Plzeò away just next Sunday in one of the most important games of league spring. Slavia dropped all three points in Zlín just 3 days after their promising performance against Chelsea. 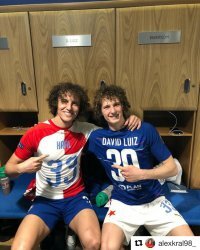 Džafiæ broke the deadlockin the second half of an equal game. Our European journey is over. Slavia started badly on Stamford Bridge but were close to big surprise in the second. Slovak midfielder Miroslav Stoch returns to Stamford Bridge after ten years, this time to fight for Slavia. 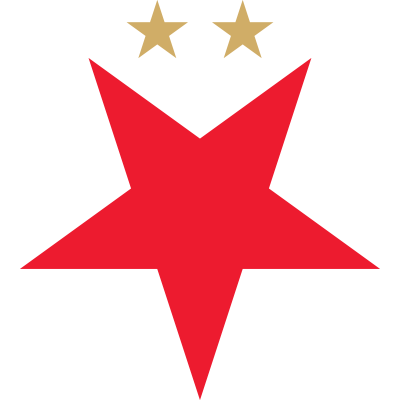 Would you like to get regular news about Slavia?